Hailsham Street Market takes place in Vicarage Field from 8.30am to 3pm every Saturday selling fresh, locally sourced items, including fruit and vegetables, meat, pastries, gifts, crafts and jewellery, cards, cakes, plants and flowers, jams and conserves, accessories and more. 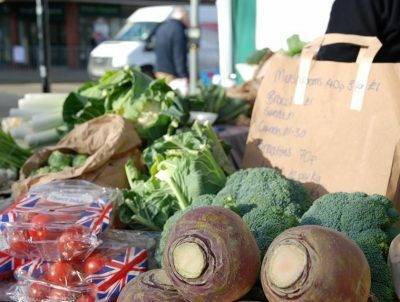 Some of the local producers operating at the new market already sell goods in other local markets such as the Hailsham Farmers’ Market which takes place every second Saturday of the month. Regular markets are a vital component of town centres – especially in market towns such as Hailsham – bringing customers into the town whilst offering excellent business opportunities to local traders. By supporting local producers, growers, suppliers and offering them the opportunity to sell locally, Hailsham Street Market is an ideal way of showcasing the diverse range of products available in our town and everyone is encouraged to come down to Vicarage Field on Saturdays and support independent trade. 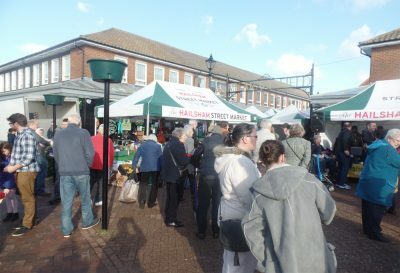 Hailsham Street Market has a flexible structure in place to offer opportunities to stallholders who are unable to commit to hiring a stall at every market event. We welcome back all returning traders and would like to hear from anyone interested in becoming a market stall trader at Hailsham Street Market. INCENTIVES AVAILABLE TO NEW TRADERS. To book a stall please call 01323 841702 or email streetmarket@hailshamforward.co.uk for more information. For news and other updates, follow Hailsham Street Market’s Facebook page.